Sig's Pistols are engineered to perform anywhere, at any time, and under any circumstance. They boast unique, advanced features that stand out among the rest. 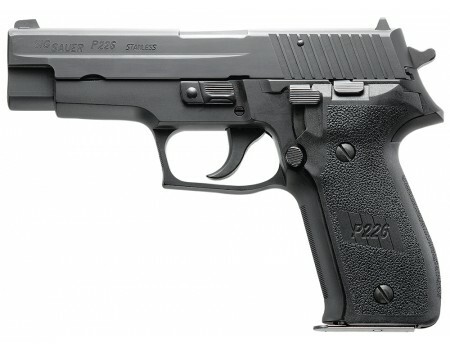 The P226 is the pistol that set the standard by which all other combat handguns are measured. It is used by the U.S. Navy SEALs, federal agents, and numerous law enforcement agencies across the country. This Full Size model has an aluminum alloy frame with a hard coat anodized finish, stainless steel slide with a nitron finish, accessory rail, and contrast sights.